We offer same day service in most cases with a goal of a two hour response time. Our in-house battery repairs are usually returned within 5 business days. 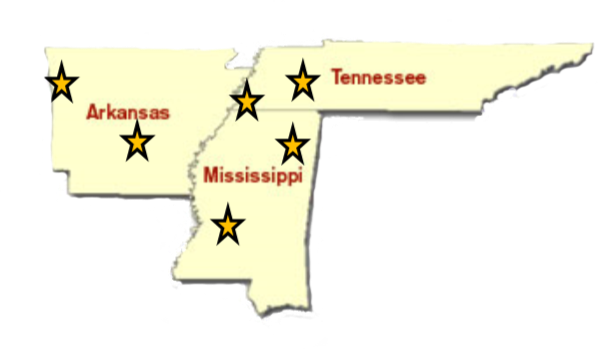 Industrial Power Products has six different locations across the Mid-South. Additionally, we operate two online businesses. PowRparts.com is an online store for motive power parts and accessories. UsedPower.com is a source for used and surplus batteries, chargers, and battery handling equipment. This website was developed to make our products and services known to those wishing to purchase, operate, and maintain motive power batteries and chargers. You will find a full range of products and services that relate to industrial batteries and chargers for electric lift trucks. We offer a full line of industrial batteries, chargers, replacement parts, handling equipment, safety items, and watering devices. We also provide on and off-site repairs, battery room layout and design, safety and maintenance training, and E.P.A. approved disposal of spent batteries. You will find many new, state-of-the-art products within this website. We offer a complete and diverse line of products that are carefully chosen to fit the needs of today’s rapidly changing industry. Do not hesitate to contact us toll free with any questions concerning our products or services. We will gladly answer your questions and provide you with any additional information needed. Industrial Power Products has over forty employees throughout our six branch locations. All of our service technicians are factory-trained in battery, charger, and battery handling equipment repair.